Price is per two beads - each measures about 18mm x 13mm, drilled all the way through ready to thread. 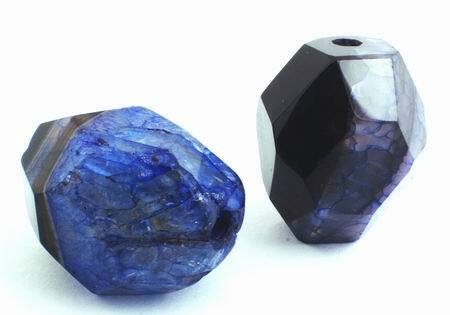 Beautifully faceted, making a dramatic pendant or focal bead. As these are natural, all will be slightly different.